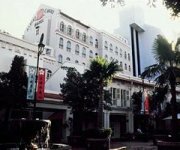 The Albert Court, A Far East Htl is an exotic hotel with an ethnic touch, and is a delightful boutique-styled hotel exuding Singapore*s rich cultural heritage and warm Peranakan *Straits Chinese* charm. The Hotel is a delightful expression of East and West with its 210 unique guestrooms, that include 71 rooms in our beautiful courtyard extension. Albert Court-A Far East Htl is also within walking distance of Little India and the bustling Bugis Village. Far East Hotels in Singapore offers you a myriad of accommodation experiences not quite like any other. Live out the country*s unique diversity and discover our melting pot of five eclectic offerings. Be in the Mediterranean-chic Orchard Parade Hotel, European-inspired Elizabeth Hotel, Peranakan-styled Albert Court Hotel, historically-infused Golden Landmark Hotel or the new-fashioned retreat - Changi Village Hotel, check-in to a thoughtful blend of practical comfort and discreet service that assures you perfect peace-of-mind.